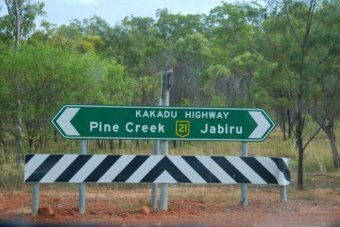 Four people are dead and a fifth has been hospitalised after a single-vehicle rollover on the Kakadu Highway, south of Darwin. Northern Territory Police were alerted to the incident around 8:15am on Friday, and believed the crash occurred around 80 kilometres from Pine Creek overnight. Two men and a woman died at the scene, and another woman died on the way to hospital. A 49-year-old woman is being treated in hospital. Major Crash Investigators are preparing a report for the coroner. Police are appealing for anyone who may have information about the crash or witnessed a silver Nissan X-Trail travelling along the Kakadu Highway after 9:00pm on Thursday to come forward.